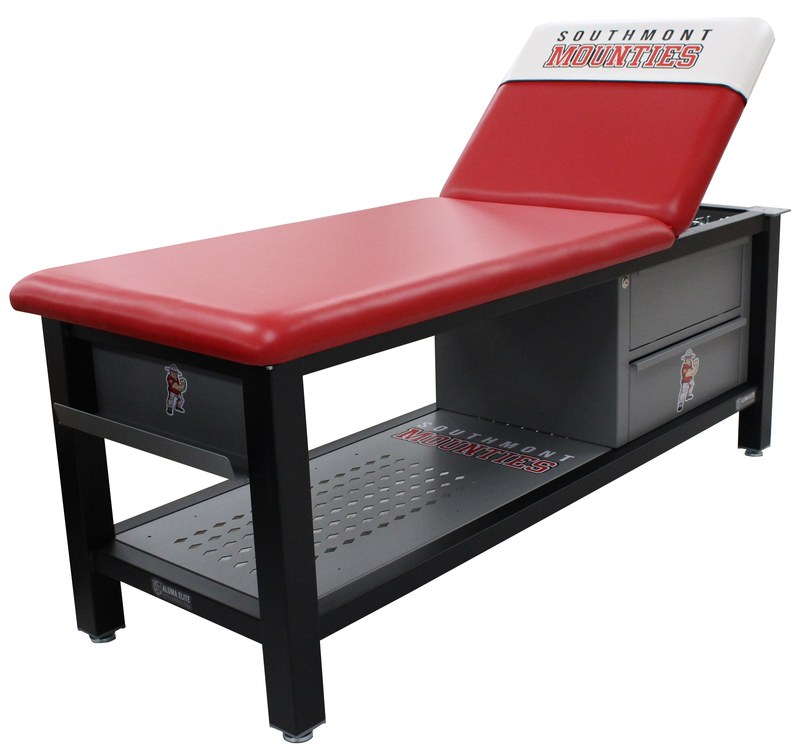 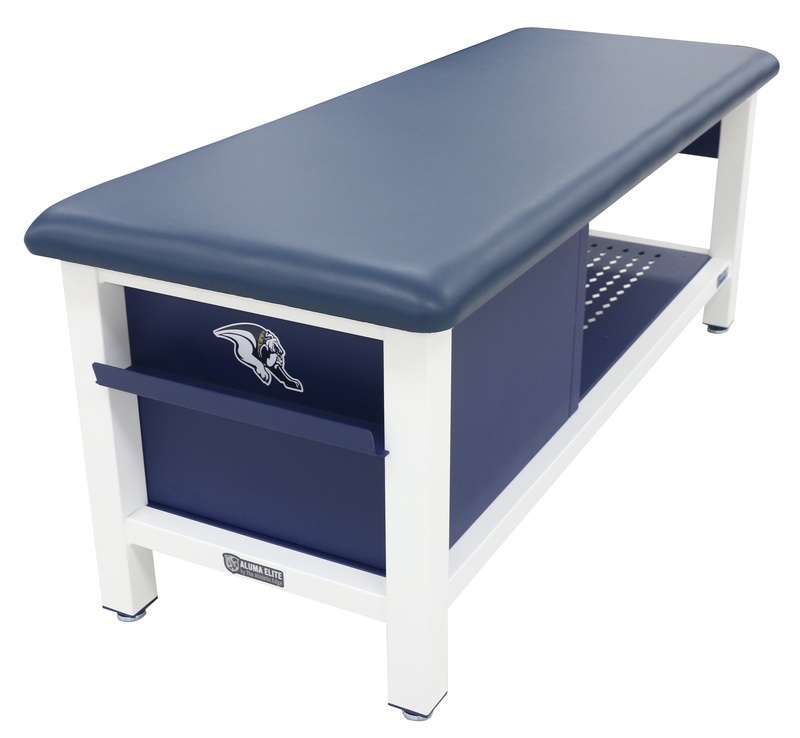 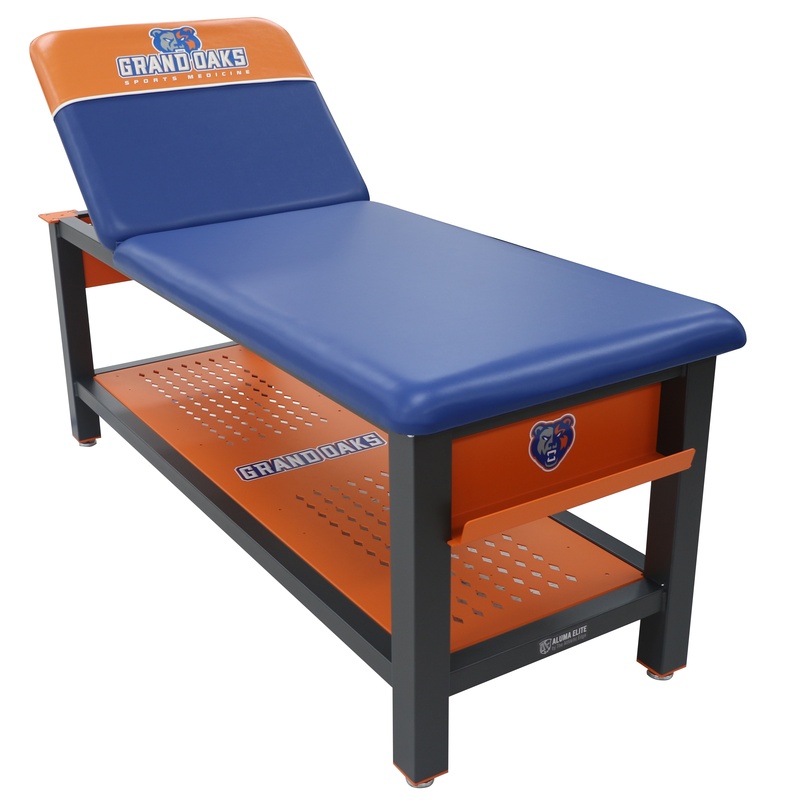 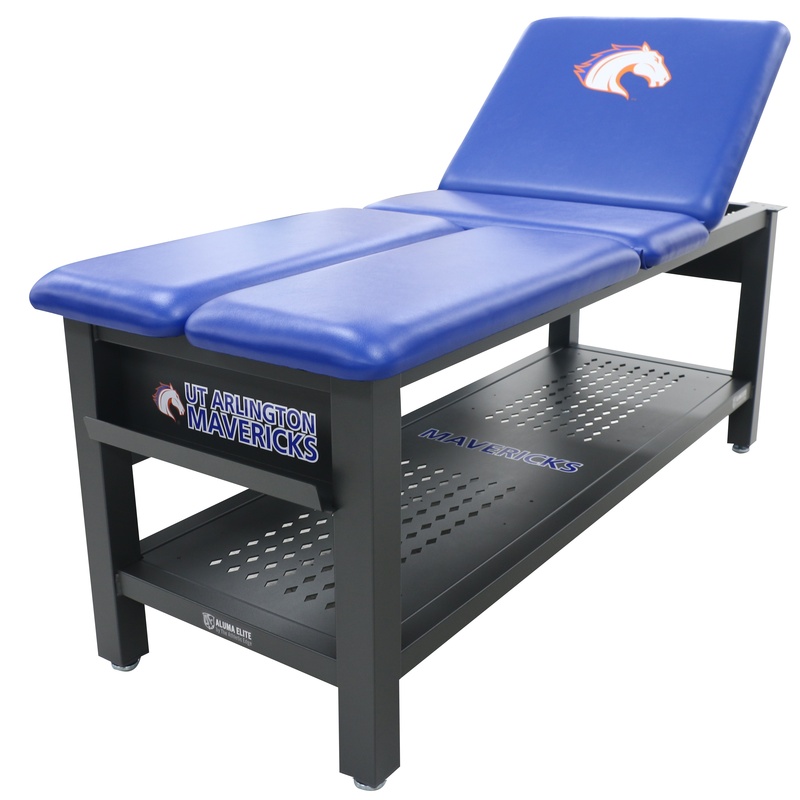 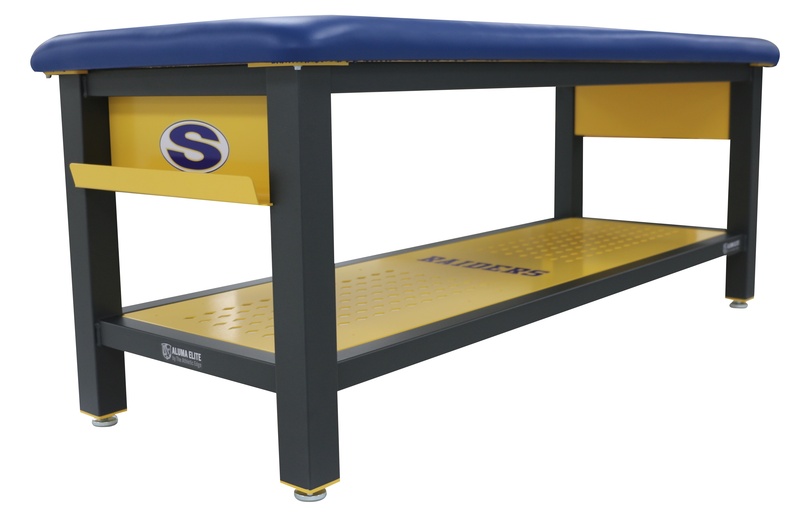 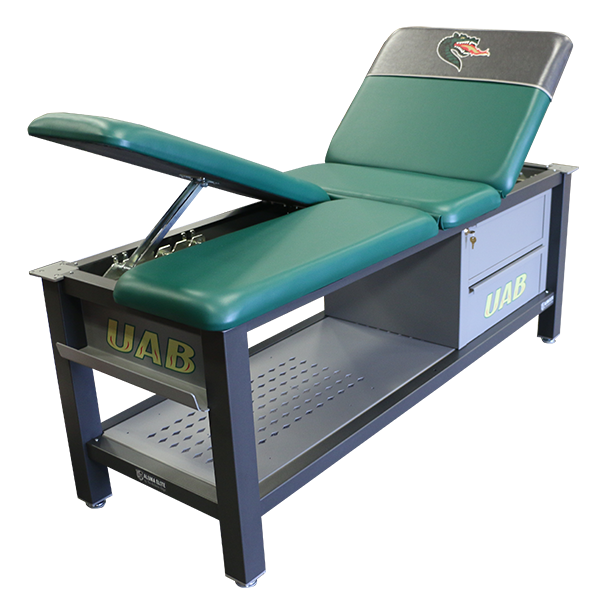 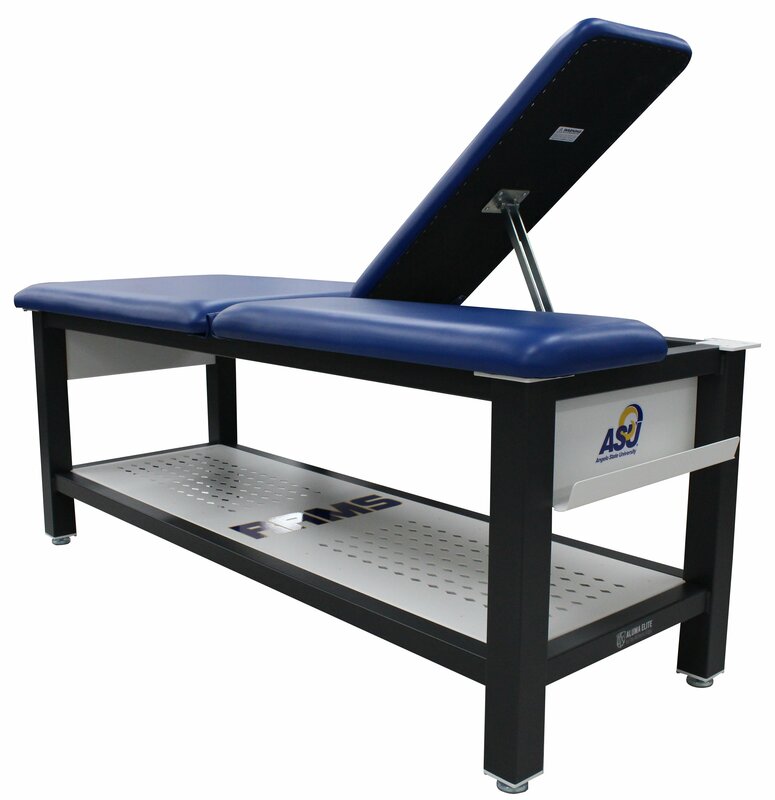 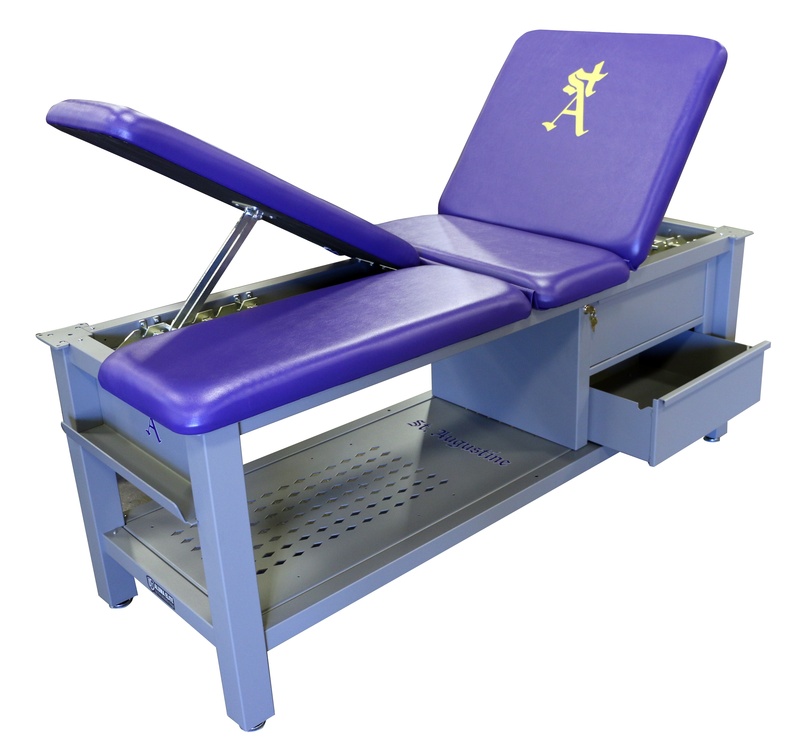 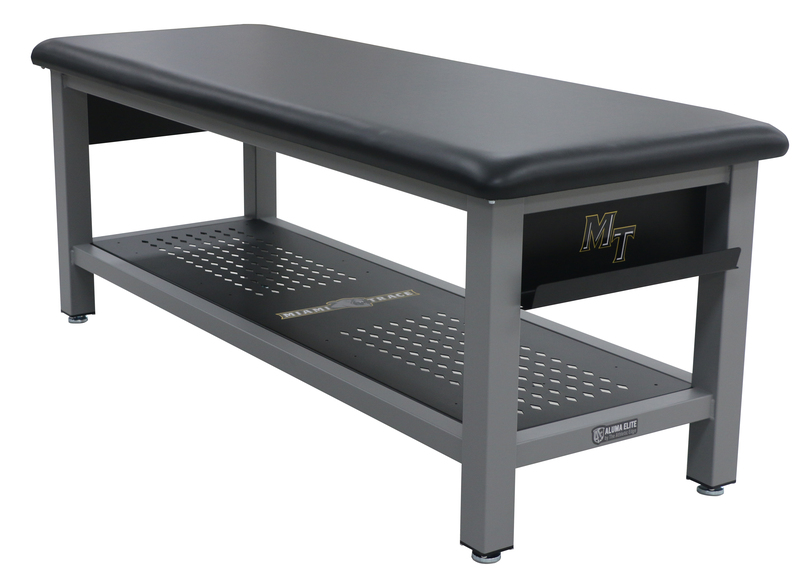 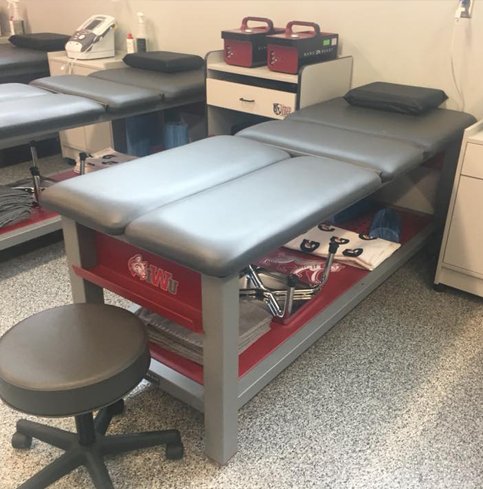 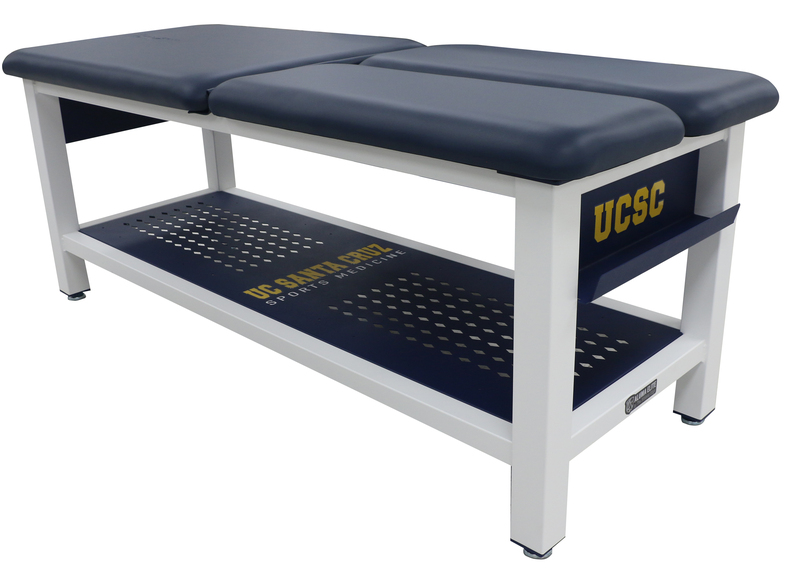 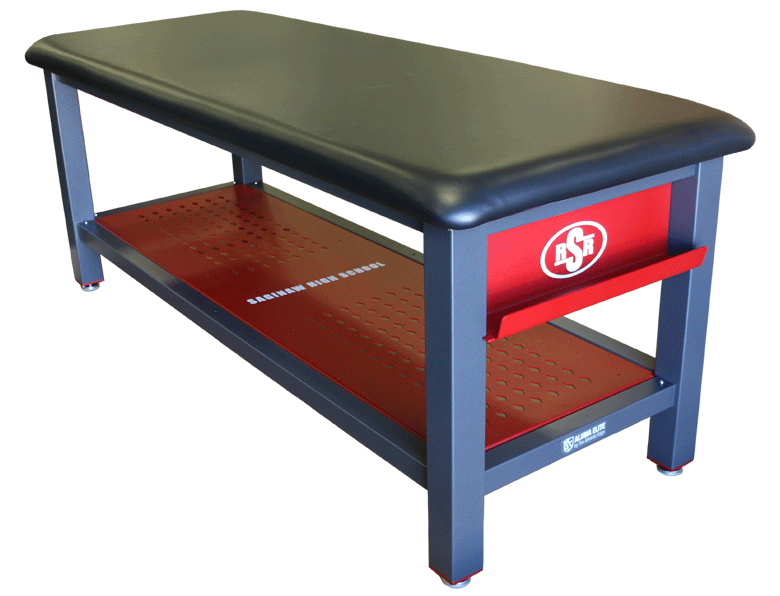 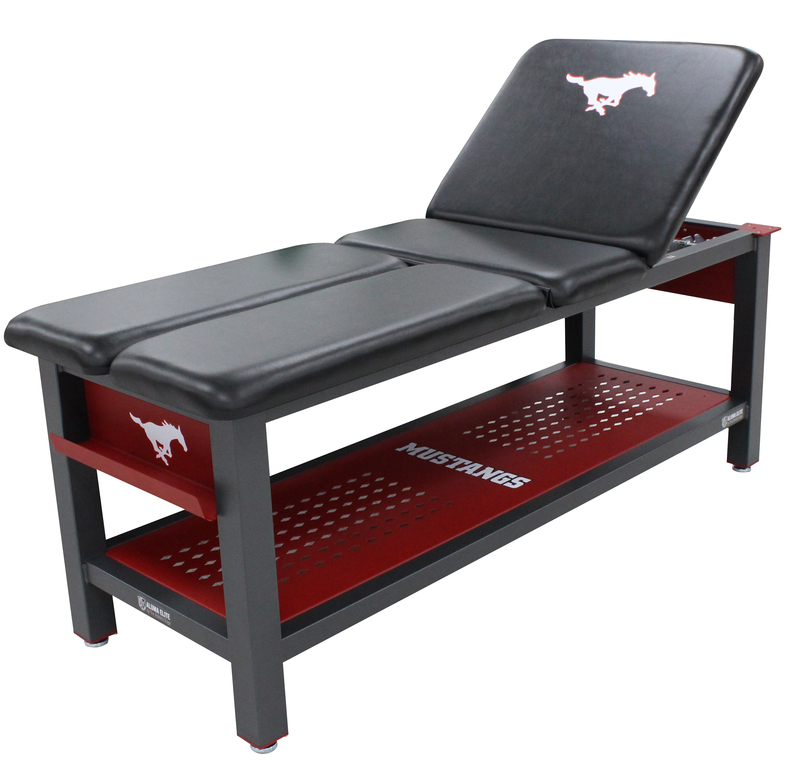 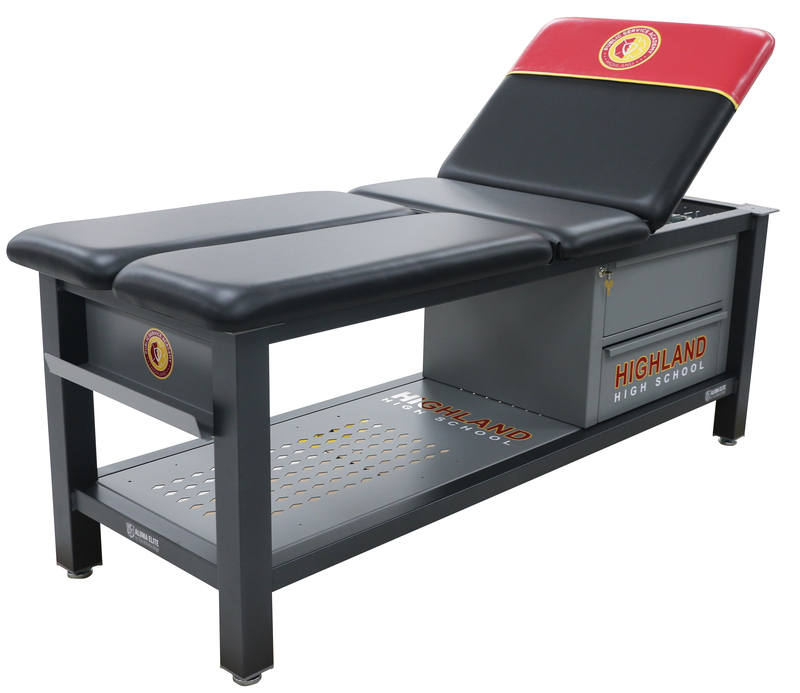 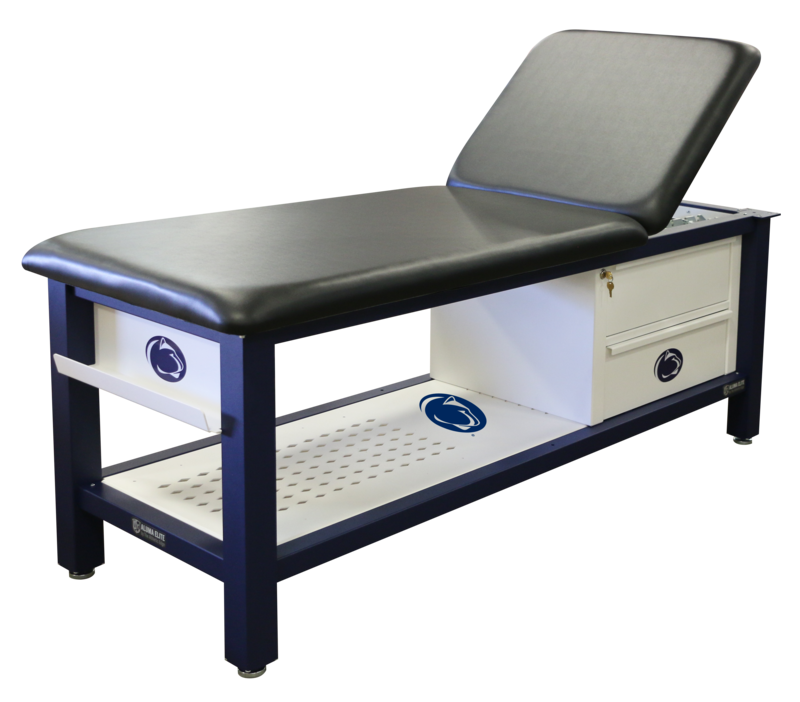 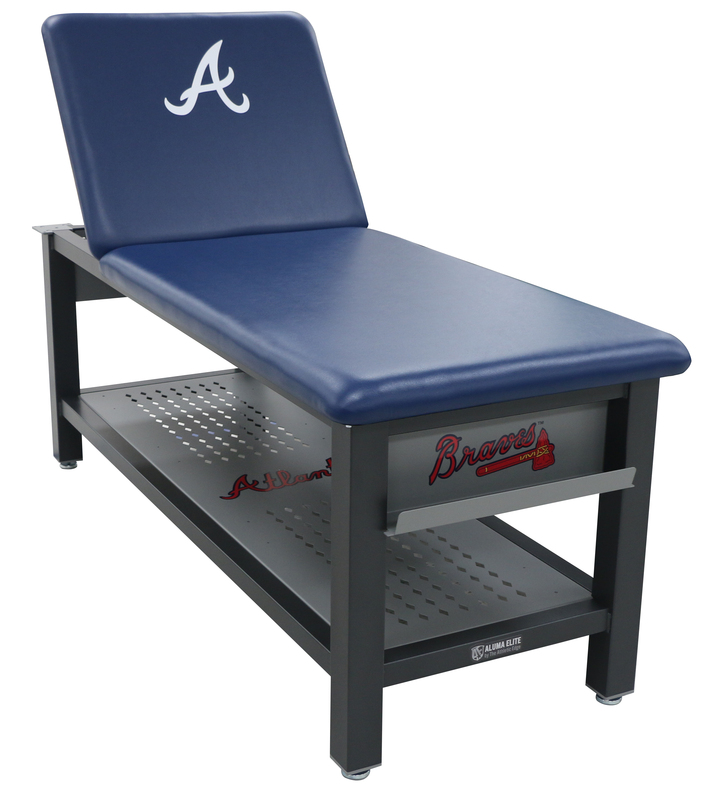 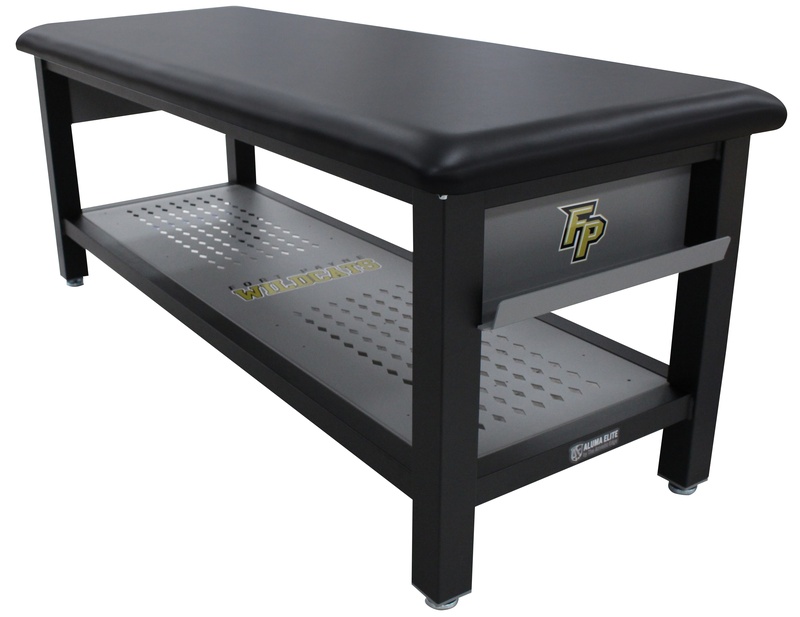 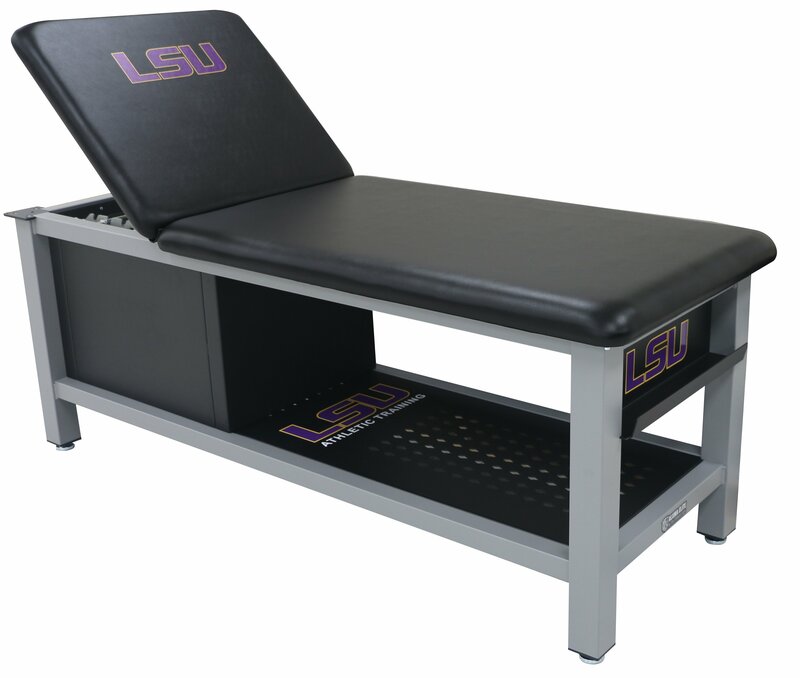 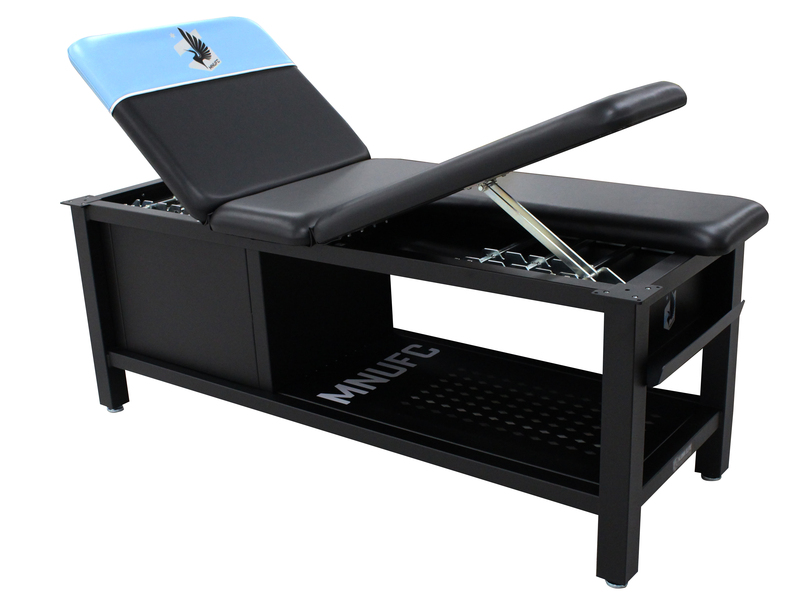 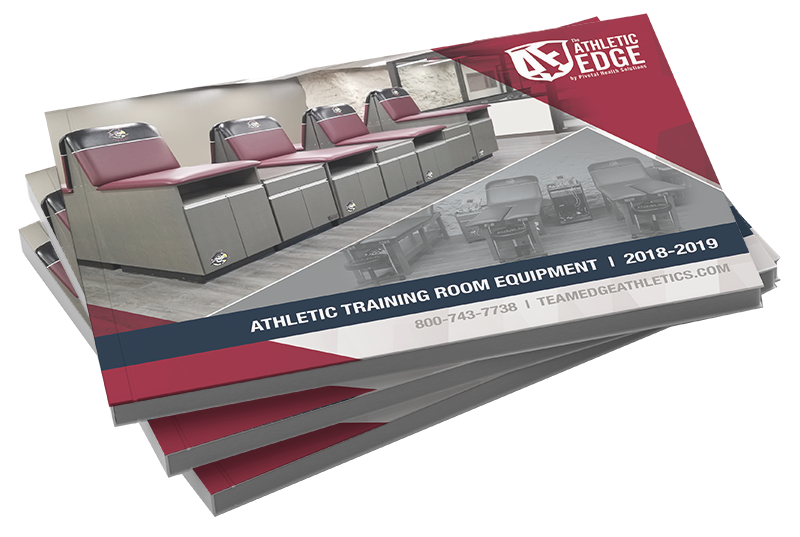 The dependable Aluma Elite Treatment Table is the perfect centerpiece for each athletic training facility. 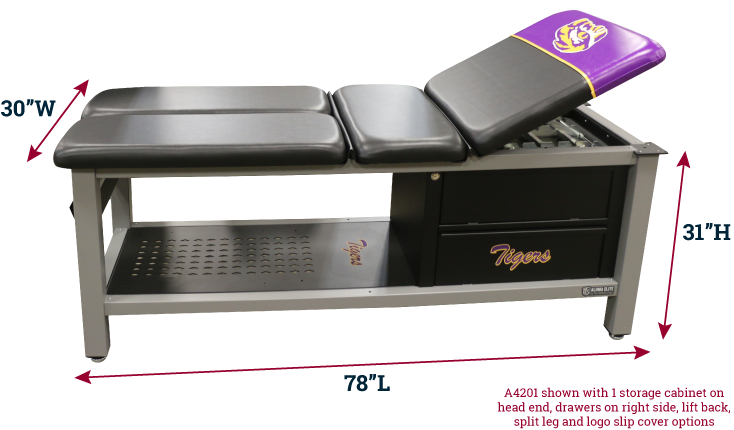 The extraordinary load capacity of 750 lbs. 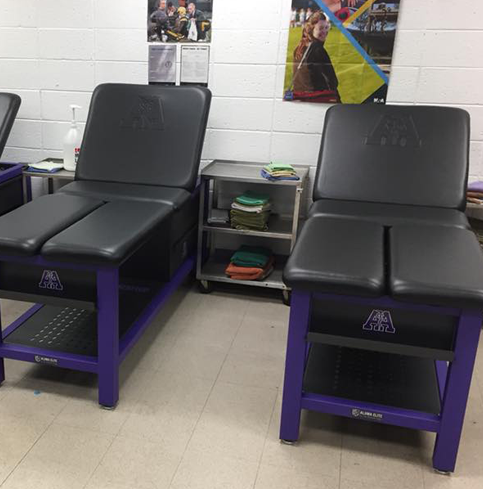 and the standard 2 tape holders and aluminum shelf for storage make the Aluma Elite tables the perfect table for athletic trainers and athletes alike. 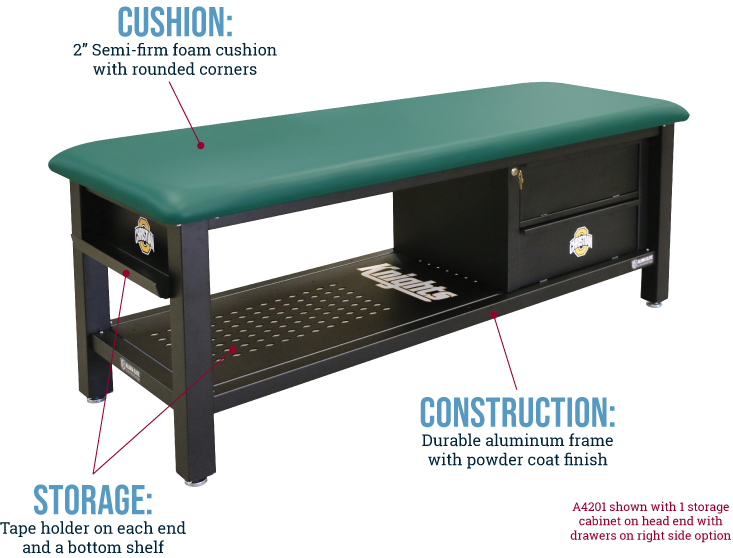 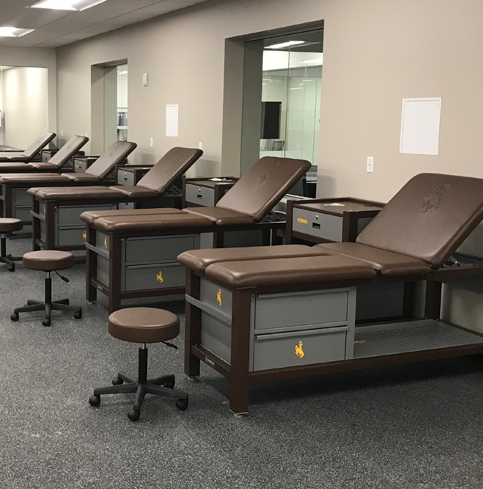 Customize your treatment table to meet your needs with multiple cabinet options that provided ample storage, or the 70˚ manual Lift back and 45˚ Split Leg cushion options. 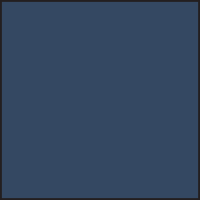 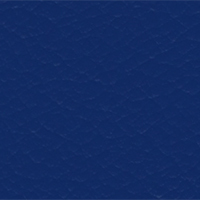 Complete the form and one of our team members will reach out to you!